It’s that time again to reuse a dressing I’ve made for another dish! These roll-ups are inspired from the some of the ingredients I used in my Italian Picnic Salad. They could not be simpler to make and are a fantastic mid day snack for both adults and kids. With the Summer coming to an end, I want to maximize the basil and tomatoes I have in my garden and add a little protein in to make it a more filling snack. Enjoy! 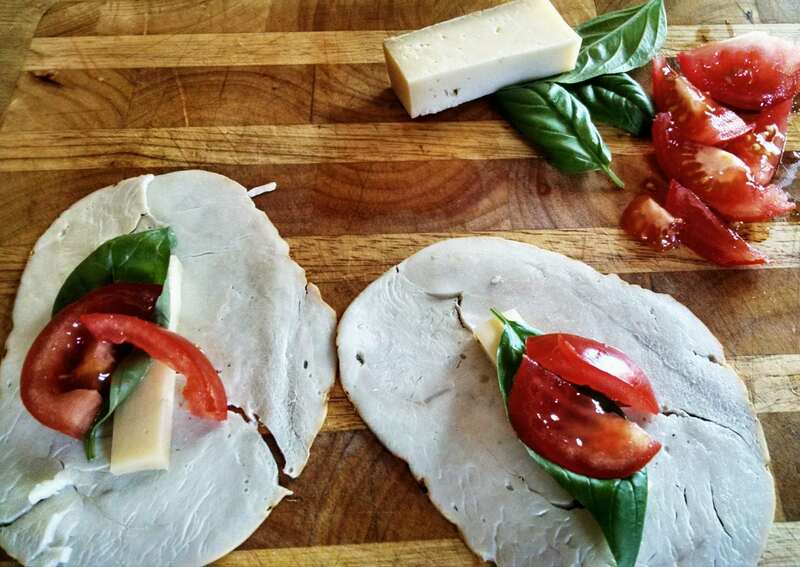 Place two-three slices of tomato, one basil leaf and a slice of cheese on the slice of turkey and roll it up. 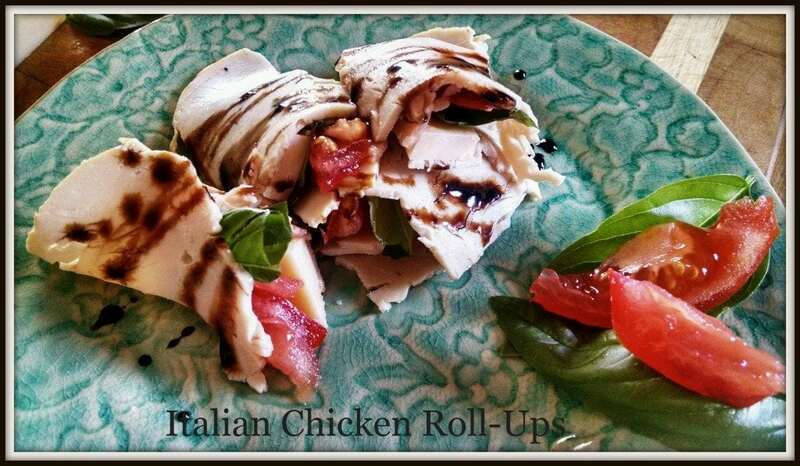 You can leave the roll-ups whole or sliced like I did and then drizzle some balsamic reduction on top and devour them up!